Jump to video What does frustration mean for 2012 candidates? 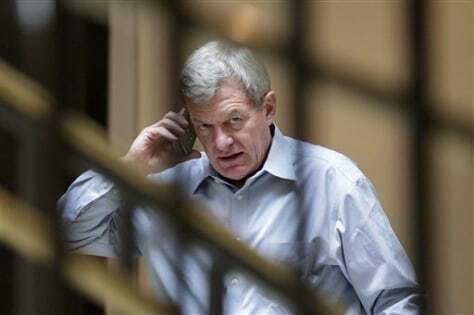 Supercommittee member Sen. Max Baucus, D-Mont., chairman of the Senate Finance Committee, talks on his cell phone outside a closed-door meeting of the Joint Select Committee on Deficit Reduction on Capitol Hill in Washington, on Sept. 27. After weeks of secret meetings the supercommittee seems no closer to reaching its assigned goal of at least $1.2 trillion in deficit savings over the next 10 years than it was when talks began.